Water is indeed life. Most of us understand that we simply cannot live without it, but few realize just how truly important it really is. Life can't even begin without water. The earliest microscopic organisms that eventually led to the first human life form came from the water. DNA couldn't have propagated without it. Water is a topic that everyone shares an interest in, and always makes for a great conversation starter with strangers too. Water is life, protect it! Depending on where you live, you've probably heard about “water shortages” and the climate change that's taking it away from us. This is true, but not in a literal sense. Water doesn't actually leave the Earth. When it evaporates, it raises up into the atmosphere. And rain brings it back down. The water coming from your tap or bottled water source is the same water that was consumed by the dinosaurs and early man. The only water source that's dwindling on the planet is fresh water, as we continue to pollute the 2.5% of estimated fresh water available to us. 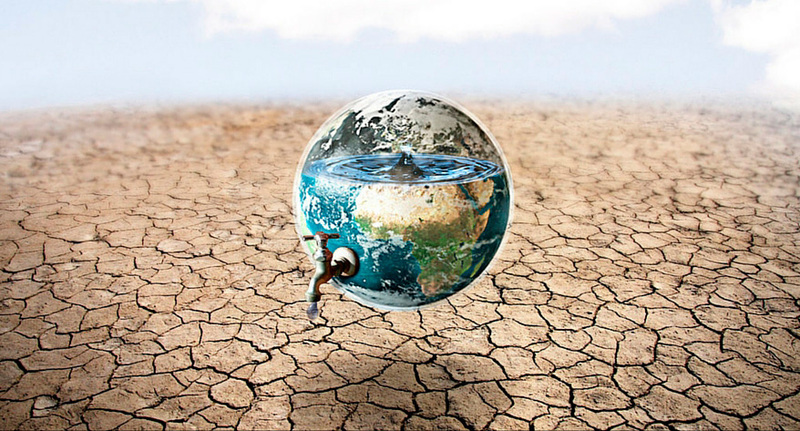 Here's an even scarier fact: while most in developed countries take fresh potable water for granted, less than 1% of all water on the earth is considered readily accessible and sustainable for human use (source). Even those numbers are quite deceptive, as a further 0.7% of that number is actually trapped in glaciers, snow and the ground. Without industry and technology, many would parish from dehydration within days if modern conveniences didn't exist. If water wasn't so readily accessible to most of us, we wouldn't have much time left to conquer the modern world as many of us do now. The balance between water, shelter and food was a stark reality for earlier man, and still is for those living in developing countries. Sometimes the ideal shelter is located far from water and/or food sources, and thus time needs to be spent lugging it back to where people live. Women in developing nations spend approximately a quarter of their day moving water from its source to their home. As a whole, South African women collectively walk the equivalent of 16 trips to the moon per day just to get water home to their villages. Our atmosphere, which protects us from the deadly intense UV rays from the sun, is made up of more water than all the Earth's rivers combined (a rather surprising and unknown way that water directly sustains life without people consuming it). 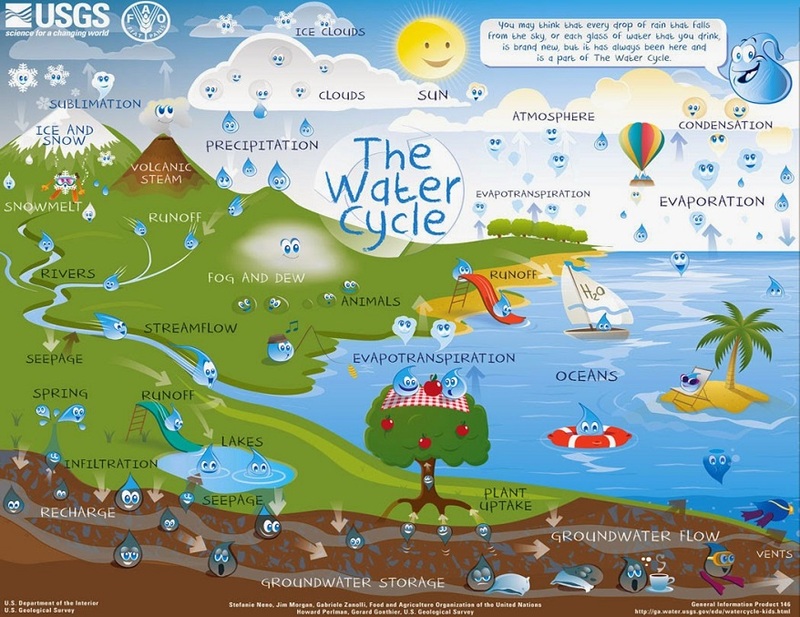 As you already learned, water is never gone but it can be “diverted” rendering once thriving cultures and habitats to nothing more than dust and sand (the Sahara desert in Africa was once a lush grassland filled with lakes, rivers and streams). At least 750 million human beings on this planet do not have access to clean drinking water. 1.8 billion people worldwide drink water that's contaminated with human and/or animal waste. Water leaks present in supply systems throughout the world waste fresh water on an epidemic scale: New York City alone loses some 36-million gallons of water every single day! The average North American uses up to 100 gallons of water a day, much of that from the simple act of flushing the toilet (not to mention a five minute shower can use up to 25 gallons alone). The average European uses half that amount, but still a staggering 50 gallons per day. People in third world countries like Africa are only afforded 2 – 5 gallons of water a day, for both drinking and hygiene purposes. 1 in every 5 children in the world die every day from diseases contained in their water supply (see the Water is Life homepage for more information on how you can help). Your kidneys have to process the equivalent of 500 gallons of water every day to keep your body free from toxins. Leaving the tap running while brushing your teeth for two minutes can waste up to 4 gallons of water; the approximate water ration for someone living in a developing nation. 25% of water bottled from sources in North America and Europe come directly from the same place your tap water does (read labels carefully and look at the source listed). In the United States, the state of California is experiencing their worst drought in 1200 years. The situation in California pales in comparison to the devastation experienced by once thriving cultures that succumbed to drought such as the Mayans of South America, and the early Harappan civilization of the ancient Middle East (learn more). Water is life and we need to do everything possible to protect it. You think you know water, but you don't >> Watch this video called "Water: the strangest chemical in the universe" done by The Guardian. One Water is committed to providing our customers with only the purest mineral spring water from deep within the natural aquifers located underneath the protection of the vast Malaysian Jungle canopy. This refreshing, sustainable-source mineral water has a unique taste that you and your family will love and is certified by the Ministry of Health Malaysia for its uncompromising purity. Feel free to contact us anytime for more information. Read also "The Malaysian Rainforest: Nature's Pollution Free Oasis"